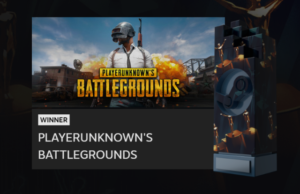 Valve has named PlayerUknown’s Battleground (PUBG) the Game of the Year at the recently concluded 2018 Steam Awards. Monster Hunter: World, Kingdom Come: Deliverance, Hitman 2, and Assassin’s Creed: Odyssey are also in the Game of the Year category, following PUBG. Other winning titles at the Steam Awards are The Elder Scrolls V: Skyrim VR for VR Game of the Year, The Witcher 3: Wild Hunt for Best Environment (great game scenery), and Assassin’s Creed Odyssey for Best Alternate History (most entertaining tinkering with history books). Meanwhile, the Better with Friends award went to the best multiplayer game of the year Tom Clancy’s Rainbow Six Siege. Rocket League got the the Most Fun with a Machine prize for being the most memorable game featuring machines. The Grand Theft Auto V took home the Labor of Love award for being the best game to still get new content after years of being out. Finally, CD Projekt Red bagged the Best Developer award. 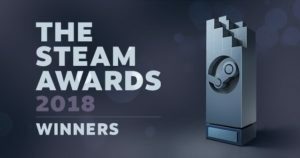 The winners of the Steam Awards were chosen and voted for by Steam users themselves. Valve announced the nominees back in December 2018. To know more about the winners of the 2018 Steam Awards, click here.